IdahoPTV/EarthFix | Dec. 7, 2016 3 p.m. | Updated: Dec. 7, 2016 4:24 p.m.
Castle Peak is so hidden from view that you can’t see it from any highway. But it just might be the most important mountain in Idaho. Castle Peak and the surrounding Boulder-White Cloud Mountains have stirred up fights over mining, recreation and conservation — fights that have changed the course of political careers, including that of a self-described “Democratic lumberjack from North Idaho” named Cecil Andrus who became governor after taking a stand over the future of this rugged, mineral-rich wilderness. And now, a generation later and the efforts of Idaho’s Republican U.S. Rep. Mike Simpson and others, it is part of the Northwest’s newest wilderness area. The team at Outdoor Idaho has the story of the 50-years-in-the-making wilderness designation for a wonderland of peaks, lakes, headwaters and steep, remote forests. In its hour-long Special, the Outdoor Idaho crew visits the three new wilderness areas in the center of Idaho – the White Clouds, the Hemingway-Boulders, and the Jim McClure-Jerry Peak Wilderness – to tell the fascinating story of how the threat of an open-pit mine eventually led to a unanimous vote for Wilderness in Congress. This program also examines some of the major battles yet to be decided. 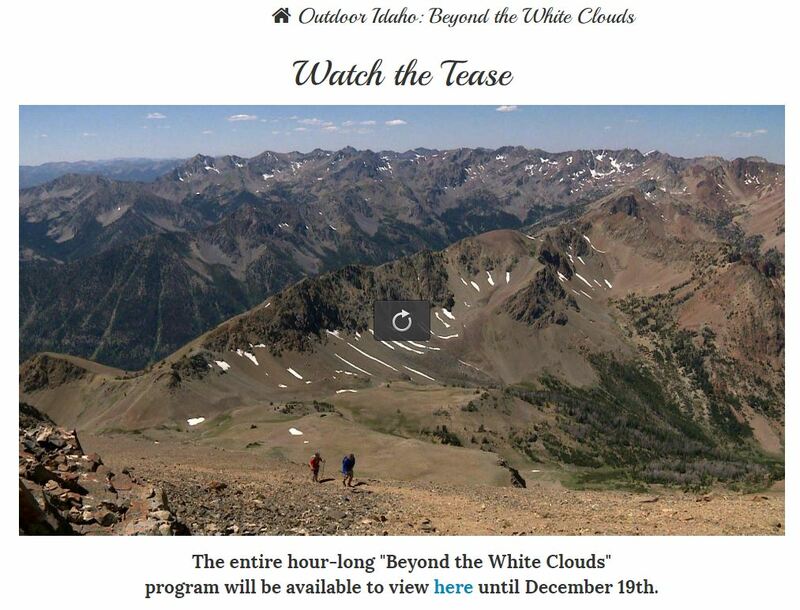 The entire hour-long “Beyond the White Clouds” program will be available to view here until Dec. 19.